Developing and maintaining a written emergency plan- specifically policies & procedures which prepare, train and require practice to ensure health, safety and welfare ( shelter-in-place, lock down and shelter-out), including maintaining (specific) information which will protect children and staff during emergencies. Developing and implementing plans, procedures and back-up plans that include ways to globally communicate with children and staff's families and community agencies before, during and after an emergency. Special needs - a plan with a focus on children and staff that may have special needs or chronic medical issues and requirements (such as transportation, food, etc.) before, during and after an emergency. 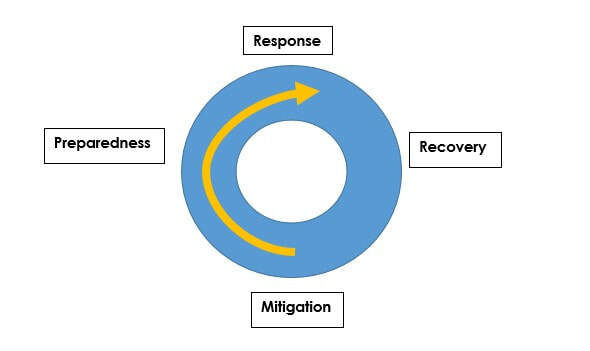 Recovery - A plan of action for recovery that includes the protection of information and assets to allow for a continuum of care for children and families. DES Child Care Administration requires all family child care providers to have an Emergency Disaster Preparedness and Response plan which identifies a temporary relocation site in a disaster which would require moving to a safe location. All DES Certified Family Child Care providers need to have a plan to handle possible emergencies. The Emergency Preparedness and Response Plan is a plan that identifies resources when an emergency occurs. A copy of the form must be posted in an area near a telephone and a copy given to parents/guardians of all of the children in care. All DHS licensed child care centers and group homes are required to have an Emergency Evacuation Plan.